Additional live courses are being scheduled throughout California and beyond. Contact us to schedule one near you. Following your requests, we’re releasing a new set of on-demand courses this Spring 2019! Sign up to be notified as soon as they are released and ready to be completed on your schedule. Self-Administered Hormonal Contraception: Pharmacist Protocol Basics available online. Fee is $129 for this 2 hour CAPE-approved CE activity. Emergency Contraception available online. Fee is $49 for this 1 hour CAPE-approved CE activity. Pharmacologic Interventions for Healthy Pregnancies available online. No fee for this 3 hour CAPE-approved CE activity. Note: Registration fees are non-refundable. Live programs are subject to postponement or cancellation if the required minimum number of registrants is not met at least seven days prior to the program. 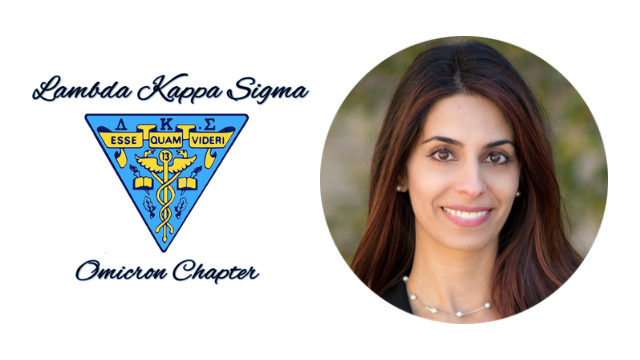 “Hormonal Contraception Workshop” (4 hours) presented by Dr. Sally Rafie to third-year pharmacy students at University of California San Diego Skaggs School of Pharmacy and Pharmaceutical Sciences on April 26, 2017. “Hormonal Contraception: Protocol Basics and Common Issues” pharmacist continuing education program (3 hours) presented by Dr. Sally Rafie on Saturday, January 28, 2017 at California Northstate University in Elk Grove, California. “Pharmacist Protocol for Self-Administered Hormonal Contraception” pharmacist continuing education program (2 hours) presented by Dr. Sally Rafie on Sunday, September 25, 2016 to Marin County Pharmacists Association in Richmond, California. “Emergency Contraception Training” pharmacist continuing education program presented by Dr. Sally Rafie on Wednesday, August 9, 2016 at Sharp Rees-Steely in San Diego. “Hormonal Contraception” training workshop (4 hours) presented by Drs. Sally Rafie and Sarah McBane to third-year pharmacy students at University of California San Diego Skaggs School of Pharmacy and Pharmaceutical Sciences on May 27, 2016 and again on June 8, 2016. West Coast Pharmacy Exchange conference program on “Pharmacist Hormonal Contraception Services: Face to Face With Your Patient” presented by Drs. Kathy Besinque, Sarah McBane, and Sally Rafie on Saturday, April 30, 2016 in San Francisco. Online webinar “Healthy Birth Spacing: Safe Birth Control Options” sponsored by March of Dimes and presented by Dr. Sally Rafie on Wednesday, March 30th 12:30-1:30 pm PST. Free nursing continuing education credits and open to all. Pharmacist continuing education series hosted by the San Diego County Pharmacists Association and presented by Dr. Sally Rafie. Part 1: Emergency Contraception Refresher on Wednesday, March 2, 2016. Part 2: Pharmacy Access to Hormonal Contraception to be scheduled. California Pharmacists Association’s EdNet program includes a session on hormonal contraception by Dr. Kathy Besinque on Saturday, August 15, 2015 in San Francisco or Saturday, August 22, 2015 in Irvine. West Coast Pharmacy Exchange conference program on hormonal contraception presented by Drs. Kathy Besinque, Sarah McBane, and Sally Rafie on Thursday, April 9, 2015 in Anaheim. California Society for Health-System Pharmacy Seminar conference program on “Hormonal Contraception Services in Health-System Settings: Getting Ready to Practice New Authorities” presented by Drs. Kathy Besinque, Sarah McBane, and Sally Rafie on Saturday, November 1, 2014 in San Francisco.